The Unites States of America is a truly diverse country offering some of the most spectacular cycling in the world. Made up of 50 states, home to numerous iconic landmarks and urban landscapes, natural wonders of stunning coastline, forests, mountains, canyons and much more – what better way of exploring this incredible land than on two wheels? The trip of a lifetime! 10 weeks of magical riding – we have nearly filled all of the available places, just a couple left so contact us asap if you wish to hear more about this incredible journey. Experience the beautiful autumn colours in our 730 mile trip beginning in Bar Harbour, Maine near the Canadian border, ending in Philadelphia. 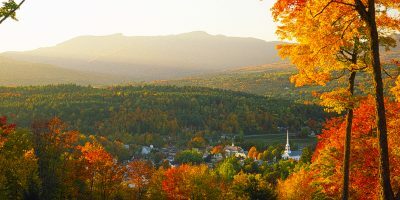 This trip covers no less than 7 states in the geographical region of New England – famous for its magnificent autumnal colours when billions of leaves change from summery greens to a multitude of reds, oranges, yellows and browns. Riders will have the opportunity to pass through stunning countryside and classic New England landscapes of rolling forest covered hills, rugged coastline and historic towns. Well known as one of the most scenic drives in the world, experiencing this on a bicycle allows you to see so much more! A once in a life time end to end trip, our Pacific Coast tour take riders from the Canadian border all the way to the Mexican border in Southern California. With an average cycling distance of 65 miles per day over the course of 4 weeks, featuring some of the best scenery in the world – breath-taking coastal views, majestic forests with some of the world’s tallest trees and wildlife. The route takes riders through the impressive countryside in Washington state with its beautiful forests and on through Oregon into California, sticking mainly to the coastal highway routes. It offers the opportunity to view some incredible wildlife – seals, sea lions, eagles are common sightings and some may be lucky enough to see a whale or even a bear! 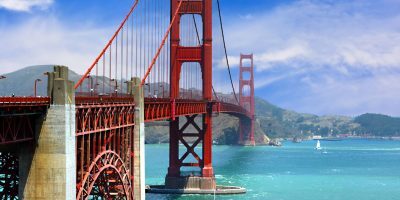 The ride through California on winding coastal roads offers wonderfully diverse scenery – ride across the magnificent Golden Gate Bridge in San Francisco and enjoy the palm lined coast of Southern California. The sub-tropical to tropical climate and plentiful days of sunshine have led to Florida being dubbed as The Sunshine State. There is much to do here, with diverse natural landscapes of wild wetlands and swamps, stunning white sand beaches with turquoise water, and beautiful towns with a strong influence of Latin and Caribbean culture. This trip begins and ends in the vibrant city of Miami, exploring the east coast all the way to St. Augustine – a charming colonial city founded in 1565 by the Spanish, offering much history and culture, then on from there all the way across the peninsula, down through beautiful national parks and swampland to Fort Meyers beach, where a ferry will take the group to Key West. 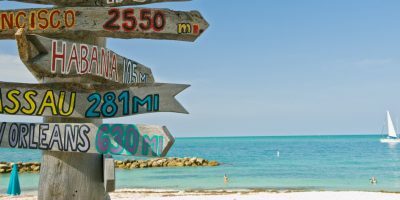 This is Florida’s most southern point, only 90 miles north of Cuba and home to the famous author Ernest Hemingway, riders can enjoy the spectacular scenery of the Florida Keys along a 170 mile stretch all the way back to Miami.